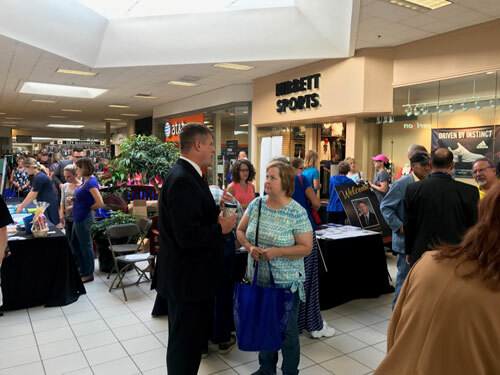 Thank you to everyone who came out last week to the Washington County Senior Expo at Washington Crown Center, which I co-sponsored. It was great to meet so many people and hear their concerns. If you have a state-related question or issue, please do not hesitate to contact one of my offices. I will be hosting my third of four town hall meetings on Thursday, Oct. 4, at the North Strabane Township Building, 1929 Route 519, Canonsburg. The meeting will begin at 6:30 p.m. No RSVP is necessary. A full list of all of my events is available on my website at RepONeal.com. This legislation, Senate Bill 261, includes several of the recommendations outlined by the state attorney general after the August release of a report alleging widespread coverup of sexual abuse within the Catholic Church across the state and dating back generations. The bill now goes back to the Senate for concurrence.